WARNING: Cute Guy Flagged Your Emails. Is falling in love for someone you have not met yet possible? No, I wasn't talking about dreams or fairy tale possibilities. 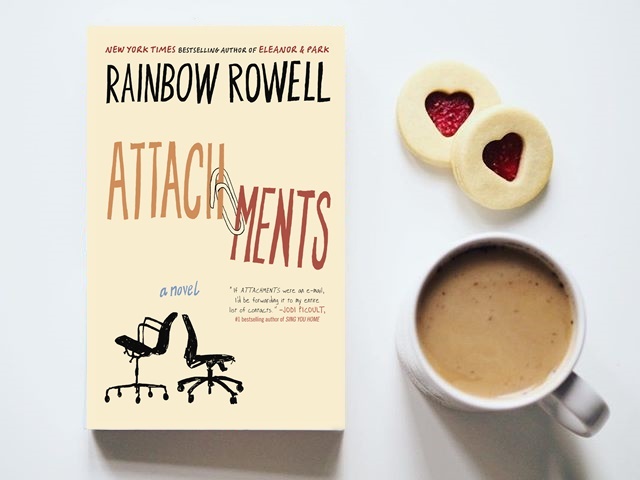 Rainbow Rowell's novel is much more real than that. Lincoln is 28 years of age, cute, single, play Dungeon n’ Dragons, and lives with his mom; which worries his sister, Eve. Lincoln’s new job, however, requires him to filter company emails at a local newspaper. He sits all night reading through employees’ correspondents and sends them warnings if they violate company email policy. Although the job earns him good money, Lincoln hates this job. "Ergo. Therefore. Thus …He technically, ethically, had no reason to keep reading their e-mail. Lincoln had told himself all along that it was okay to do this job (that it was okay to be a professional snoop and a lurker) as long as there was nothing voyeuristic about it. As long as he didn't enjoy the snooping and lurking." Beth and Jennifer are best friends and co-workers at The Courier; they both know that their emails are being monitored but that didn't stop them from emailing each other daily. Lincoln should have sent both them a warning, he knows he should, but he was charmed by the ladies’ friendship… and the idea of Beth. The story is alternately written in an epistolary form showing the ladies’ witty emails for each other; and 3rd person narrative of Lincoln’s perspective. I think it was a pretty smart move from the author, it really captured my attention. I mean, who could resist falling for these people? The characters were developed beautifully, charming and believable; while the story was lighthearted and funny. This book is a breath of fresh air, I highly recommend it. I’m sure you’ll have as much fun as I did. Looking forward to more of Rainbow Rowell’s books. Hi Monique! Hihihi, give it a try. Yes, it is , Maria. Love stories doesn't have to be excruciatingly painful, right?